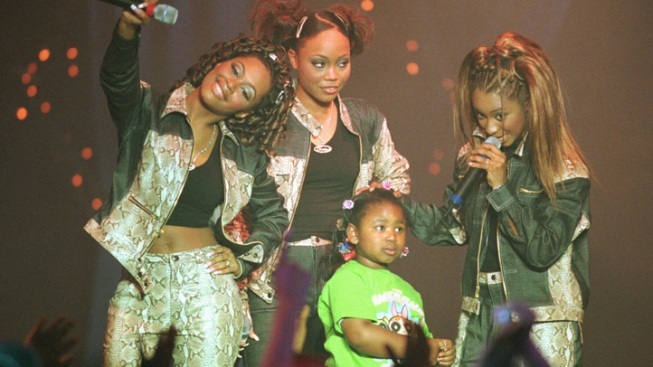 Natina Redd (right) pictured here with members of Blaque and a 5-year old fan during a concert at the Roxy in Atlanta in April, 2000, would have turned 33 on Sunday. Authorities say R&B singer Natina Reed, known as a member of the female group Blaque, was killed after being stuck by a car in metro Atlanta. The Gwinnett County Police Department said in a news release Sunday that the 32-year-old Reed was hit late Friday while in the roadway at an intersection on U.S. 29 near Lilburn. Police say the driver called 911 for help, and someone tried to revive Reed on the scene. She was later pronounced dead at Gwinnett Medical Center. It's unclear why Reed was in the road. Police say the driver wasn't at fault and won't be charged. Blaque's hits included "808" and "Bring It All to Me" in the late '90s. Reed was also in the movie "Bring It On," released in 2000. Reed would have turned 33 on Sunday.